September 4, 2013: It was a sublime feeling to be sitting in the Gurdwara of the first Siri Guru Granth Sahib in Iceland, reading from it in the very early hours of the morning. A wave of gratitude washed over me as I felt myself a part of this rich, vast, living tradition. On August 5th we finished installing the Guru and on August 12th we finished the very first Akhand Path done in Iceland. Bringing the Guru to Iceland started out as a deep need in my being that I could not ignore. Once that was settled it became very clear that we needed to start with an Akandh Path. If you ask me why, I have no tangible answer; it was just something that needed to happen. The steps from committing to installing the Guru to finishing the Akhand Path were many and I had really solid backup – from Sikh friends in New Mexico and London and great help from my husband and yoga friends – but the strongest element in all of this was faith. Faith that we should and we could, and we did! It is a very young Sangat here in Iceland, no Sikhs but many seekers. About 40 people were willing to answer the calling of their soul and participate, more wanted to join once word got out about how great it was. Everyone reading and doing seva felt on some level that this was a true blessing for them personally as well as a blessing for the community as a whole. It was a really good feeling to sit and talk with all the people that came to read or just to be; it elevated our Sanghat and brought us closer together. The calling is still strong and now more people feel it – the need to meet the Word of the Guru in this powerful way. Our 2nd Akandh Path will start on October 31st. If you feel the calling, you are welcome to join! He Himself imbues us with His Love, with effortless ease. 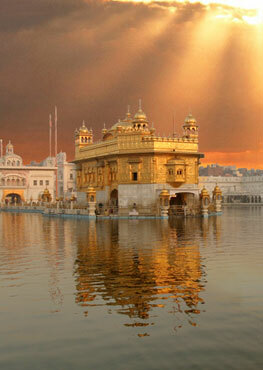 Through the Word of the Guru's Shabad, we are dyed in the color of the Lord's Love. but in spite of their bathing and washing, they shall not be acceptable. death was pre-ordained for them when they came into the world, but they do not understand. 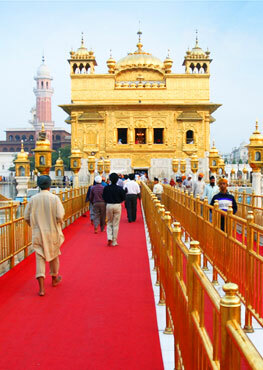 The practice of Truth is the essence of the Shabad. The tongue, imbued with the Lord's Essence, delights in His Love. My mind and body are enticed by the Lord's Sublime Love. through the Word of the Guru's Shabad, they are intuitively absorbed in celestial peace. The True Lord is pleased with Truth, and only Truth. By Guru's Grace, one's inner being is deeply imbued with His Love. That one, upon whom the Lord casts His Glance of Grace, obtains it. By Guru's Grace, egotism departs.